Yes, completely 60 years ago...especially neat, straight, uniform doors in a precise row that is probably square to the north and south. And the sheets were ironed. 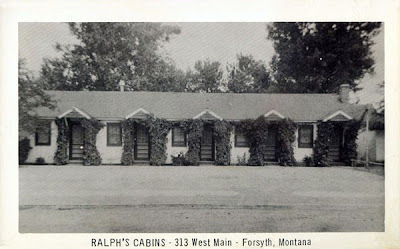 The thing I like most about that photo is the ivy around each of the doors ... that's extremely cool, I think, and I'm sure there's not a chain motel in the world that has that.